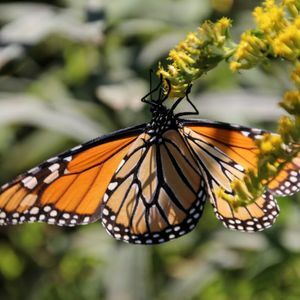 Sunday, July 28, 2019 1–4 p.m.
Join Melinda Fegler and Lindsay Hollister of Pollinators Prospering People (PX3), a nonprofit dedicated to promoting sustainable pollinator habitat, to learn about the mysteries, threats to, and conservation of these beautiful pollinators and the important role they play in our natural world. Build a chrysalis tree for your pollinator garden, learn to use identification resources, and practice your new skills during a NABA butterfly count. This is the third in a series of PX3 programs offered this month at the Arboretum. Befriending Bumblebees is July 14, and Solitary Bee Beginnings is July 21.